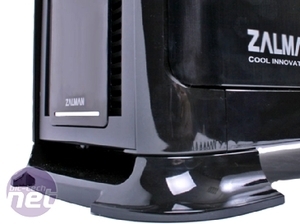 Zalman has quite the reputation in the field of PC hardware, in the same way that BMW has quite the reputation in the field of cars. They both offer innovation, buckets of build quality, and for the most part, impressive performance, in exchange for massive chunks of your pay packet. What do we have here? Low and behold, Zalman has made a case, and remarkably kept the price tag at a level that we mere mortals can not only afford, but can genuinely consider as an alternative to the usual suspects of PC cases. 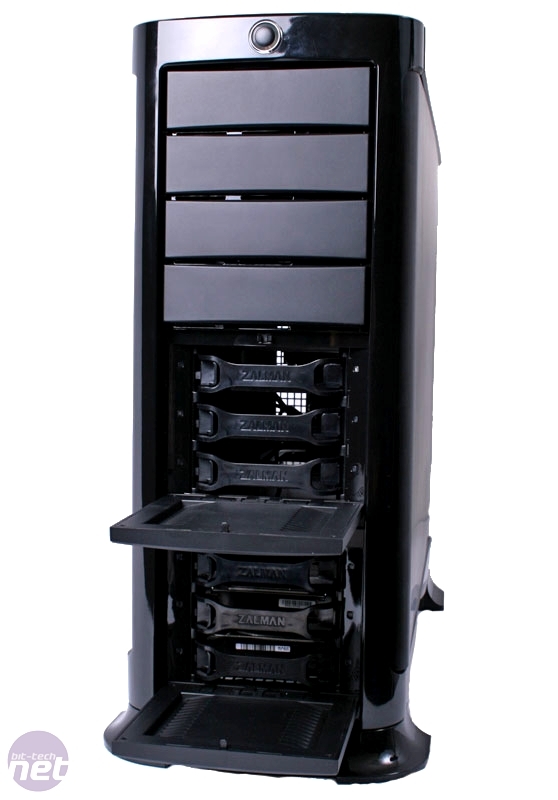 Could this be the 1-series of PC cases? 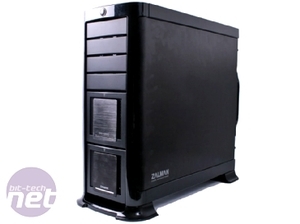 Let’s hope that the legendary Zalman build quality hasn’t been compromised by slashing the price, and that the GS1000 can continue the Zalman reputation and stake a claim in this highly competitive price bracket. Zalman has gone for an all over black look, combining a glossy plastic base, top and front, with frankly gorgeous, brushed aluminium moulded side panels to clad the GS1000. However, whether the plastic works with the aluminium has been a point of contention here in the office, and while I don’t think it looks terrible by any means, it would certainly have been nice to have had an all over aluminium construction just like the Akasa Mirage 62. The glossy plastic does have a serious draw back though, as it’s a magnet for finger prints, so keep a cloth handy if you’re going to be handling it! However, while cooing over the aluminium side panels we noticed that in some places they didn’t fit flush with the plastic surround at the front of the case. This trait was continued on the top panel, where the removable plastic panel did not fit flush with the front bezel, despite the fact that they have obviously been manufactured to do so. The top panel itself was also a pretty significant let down, with the plastic panel that sits over the top ventilation system (more on this later) appearing uneven, and completely unable to securely attach all the way around its circumference. While I can see how these could be interpreted as only minor niggles, it’s always disappointing to fork out hard-earned cash on a product only for it to arrive with some obvious manufacturing defects, however minor; the external build quality of the GS1000 just doesn’t appear to live up Zalman's otherwise unbleamished reputation. Once you move past these issues, we find the concealed front panel, behind a smoothly opening hatch that rotates back into the case. 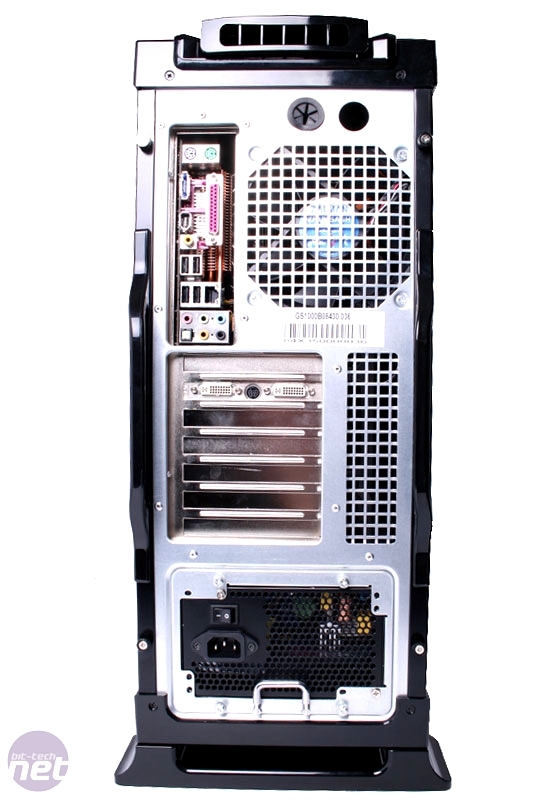 This consists of the standard microphone, headphone, dual USB 2.0 and firewire sockets, which are all well spaced out and angled toward the front of the case. 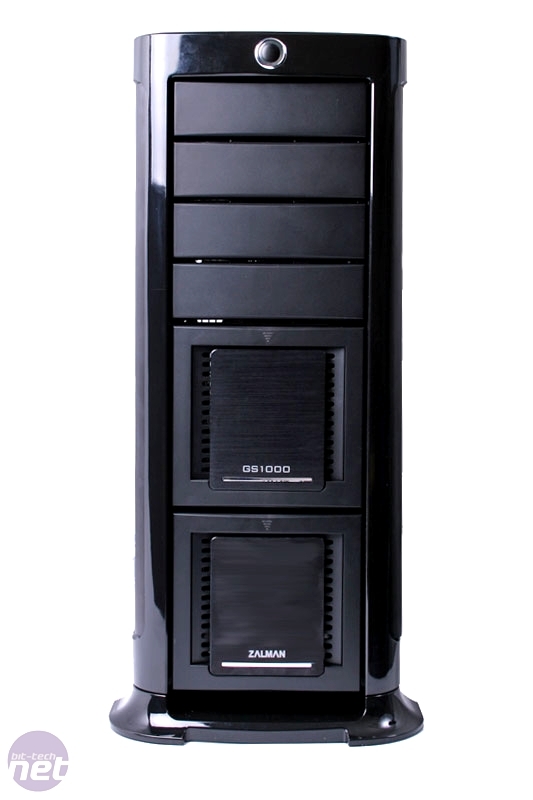 The front bezel of the GS1000 is where things start to get really interesting, with the unique feature of two drop down hatches, revealing six hot swap SATA bays! The hatches drop open with a simple push, and their opening action is smooth, controlled and exudes class. The SATA drives are mounted into removable tool-free drive cages, which are very secure once fitted, and require a fair amount of force to pull free – exactly what we’d expect when dealing with something as important as data. 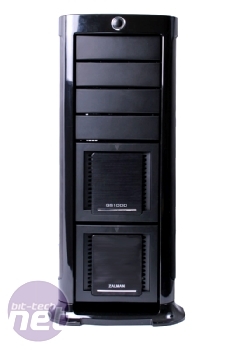 The drives themselves can either be powered by the standard SATA power and data connections, or by the included removable hotswap board. 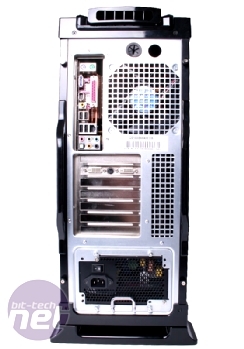 This comes fitted in the lower hatch and provides genuine hot swap functionality for three hard drives, and even powers twin blue LEDs to indicate if a drive has power. Whether you’re going to use hot swap feature is another question, as the GS1000 has mounts for eight (yes, eight!) concurrent 3.5inch HDDs, but it certainly makes adding and swapping out hard drives an absolute doddle – you don’t even need to open the case. Elsewhere on the front bezel you’ll notice the solitary power button, which we are pleased to say not only comfortably passed the Martin Test, but it's also nicely back lit with a blue LED when turned on. 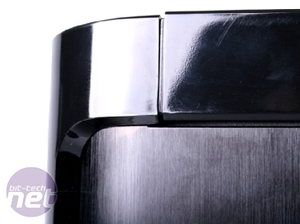 However, the reset button and HDD activity LED are notable by their complete absence - we still like to see these inclusions on a case; I know I still use mine at least a few times a week. Finally on the topic of the exterior is the GS1000’s stand, a feature I’m sure will cause a fair amount of contention among some. As we’ll see when we look at the GS1000’s interior and cooling, the stand is required for the case to operate effectively, as the principal ventilation inlets are built into the base of the case so require the couple of inches of clearance provided by the stand to receive sufficient airflow. 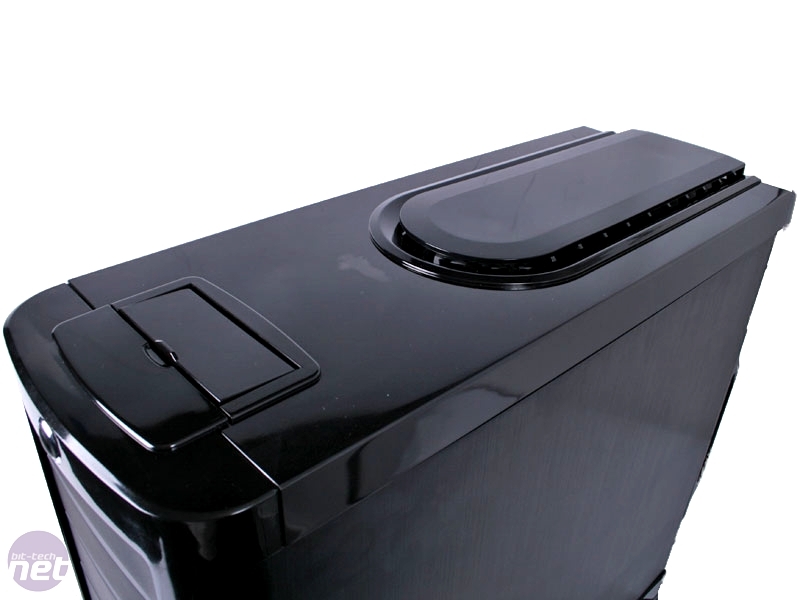 Choose not to fit the stand and place the case on a flat surface and thermal performance will not only suffer, but you'll also have a new vacuum cleaner too. 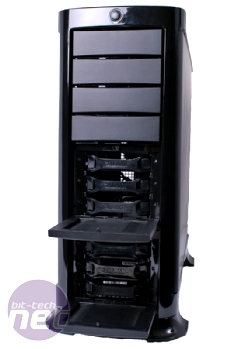 Akasa's Eclipse-62 chassis has been a stalwart in the company's range for a long time now. Today we look at the Mirage-62, which looks strikingly similar to the Eclipse. We find out what's different and whether Akasa has improved on a tried and tested design.